U.S. border patrol agents arrested an MS-13 gang member at the Calexico Port of Entry on Saturday the Department of Homeland Security announced on Wednesday. Jose Villalobos-Jobel, 29, a Honduran citizen, was arrested by Border Patrol agents assigned to El Centro Sector around 6:00 pm that day, according to a U.S. Customs and Border Protection press release. The statement also said that Villalobos-Jobel will be sent back to Honduras. It’s unclear if Villalobos-Jobel was the only gang member arrested at the border. 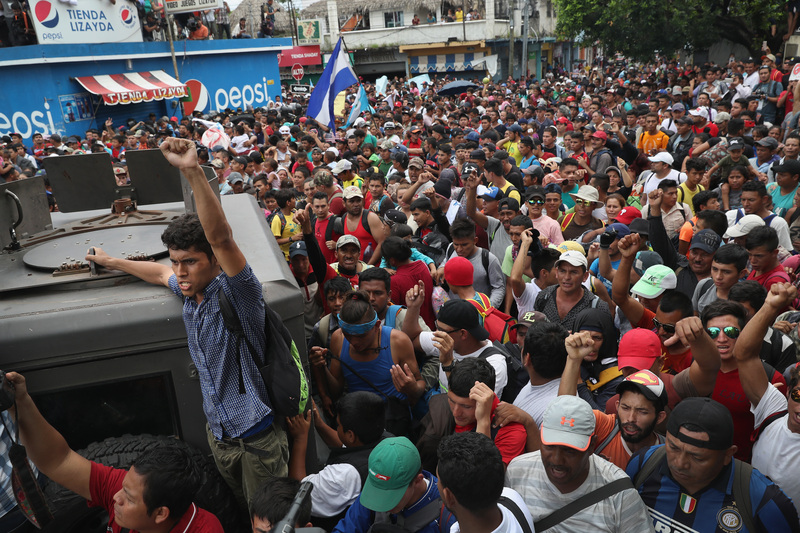 The arrest came one day before officials were forced to close the San Ysidro port of entry after several hundred migrants attempted storming the border between Tijuana, Mexico and the San Diego area. Border agents used tear gas to disperse the crowds trying to cross into the country.